Modern entrepreneur and owner of Grand Hotel Villa Serbelloni at Lake Como. Gianfranco Bucher is a descendant of Franz Joseph Bucher, the forefather of a dynasty of luxury hoteliers that created Hotel Sonnenberg and the beautiful Burgenstock in Switzerland and looked after the creation and renovation of hotels in Milan, Rome, Genoa, and Cairo. Gianfranco Bucher studied Mechanical Engineering at the Politecnico in Zurich, but when he was 22 he decided to follow his family vocation for luxury tourism and he enrolled in the prestigious Hotel-Management School in Lausanne. At the end of it, he moved with his wife Dusia in an apartment at the Grand Hotel Villa Serbelloni in Bellagio, the propriety of his family since 1918, and he worked with his father Rudy in the management of it. In 1986 he took full charge, following through with the kind of hospitality his predecessors used: the hotel is considered like a “family home” open to the guests. Warm ambiance and flawless service. 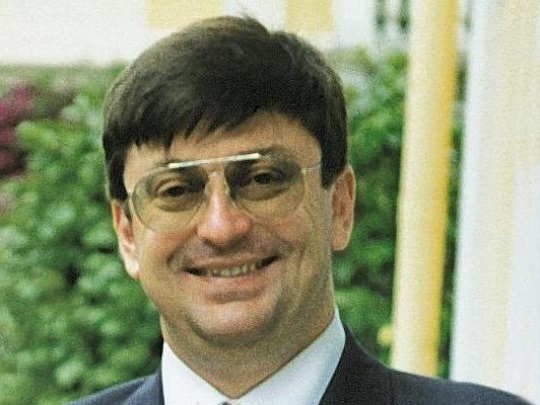 In 1999, he was President of APT (Agency for the Promotion of Tourism) for the Como area and he realized the “Guida Verde TCI” (very prized guidebooks published by the Italian Touring Club). 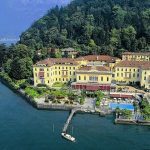 He has been the promoter of the Consortium of Hotel Managers in the Como Lake area, supporting the realization of two special services with “Bell’Italia” and “Condé Nast Traveller”. He is currently the president of Promobellagio, an association of tourism operators. Under Gianfranco Bucher’s management, the Grand Hotel Villa Serbelloni is always present in the best international Guides. In 2005, “Condé Nast Traveller USA” names it between the Best 5 European Resorts and in 2006 it figures in the Gold List. “Travel & Leisure” classifies it among the 50 best hotels in Europe in 2004 and among the best 500 in the World in 2006. In 2004 it is the first classified between Departure’s Country Hotels. In 2005, “Condé Nast Johansens” names it among the best hotels with SPA in Europe and in 2006 awards it as Hotel with the Best Restaurant. In 2007, Gianfranco Bucher has been awarded by “Como nel Mondo” prize for his activity in favor of the area. Gianfranco Bucher is considered a modern and enlightened entrepreneur. He deeply renovated and modernized the Grand Hotel Villa Serbelloni without altering the charm of this big neoclassical villa. He obtained big underground spaces in the park without ruining its structure or going against its original plan. He bet and invested in the quality of the cooking and the Mistral Restaurant, the temple of chef Ettore Bocchia’s molecular gastronomy, obtained a Michelin Star. He is a firm supporter of hotel’s and touristic marketing and communication, especially online. Welcome TESLA at Villa Serbelloni!